Ever see people at Wal-Mart walking down an aisle and look like they haven’t taken a shower in a week? Well, they probably haven’t. Personal hygiene is SO important, especially in today’s society. According to the Nozin web site, the term hygiene comes from Hygieia, the greek goddess of health, cleanliness and sanitation. Hygiene is a science that deals with promotion and preservation of health. Personal hygiene is mainly to prevent illness and improve appearance. Washing hands throughout the day can prevent diseases. Trimming nails, bathing daily and brushing teeth can help appearance. If people aren’t washing their hands or bathing, there will be consequences. Not washing daily could lead to body odor or developing fungal infections such as athletes foot. Not brushing teeth can lead to grubby teeth and smelly breath. Those can be signs of a gum infection, so brush those teeth. Washing hair is more of an appearance aspect than anything else, but the effects of not washing will make you want to. If you don’t wash at least every other day, you have the chance to get dandruff, greasy hair or lice. Out of the three, lice is the worst. According to the web site Hygiene Expert, head lice are contagious. You may also experience itching and if they are left unattended, the lice will grow large enough for you to even see them. “Having a brother who has a very low immune system, I learned being clean and washing your hands really can help prevent sickness,” junior Tiffany Timm said. Personal hygiene also provides social and psychological benefits. Knowing you are squeaky clean, boosts your confidence and influences your motivation and self-esteem. Wilcox has been visiting classes from kindergarten through third grade to discuss hygiene. She has been showing a video with Disney’s Timon and Pumba teaching about hand-washing, brushing teeth, exercise and eating healthy. The students also go through the steps on how to wash hands. “The way we take care of ourselves not only affects us but also everyone around us,” Wilcox said. If not for yourself, do it for the people around you. Take a shower before leaving the house or brush your teeth twice a day. It will at least let people want to be around you. 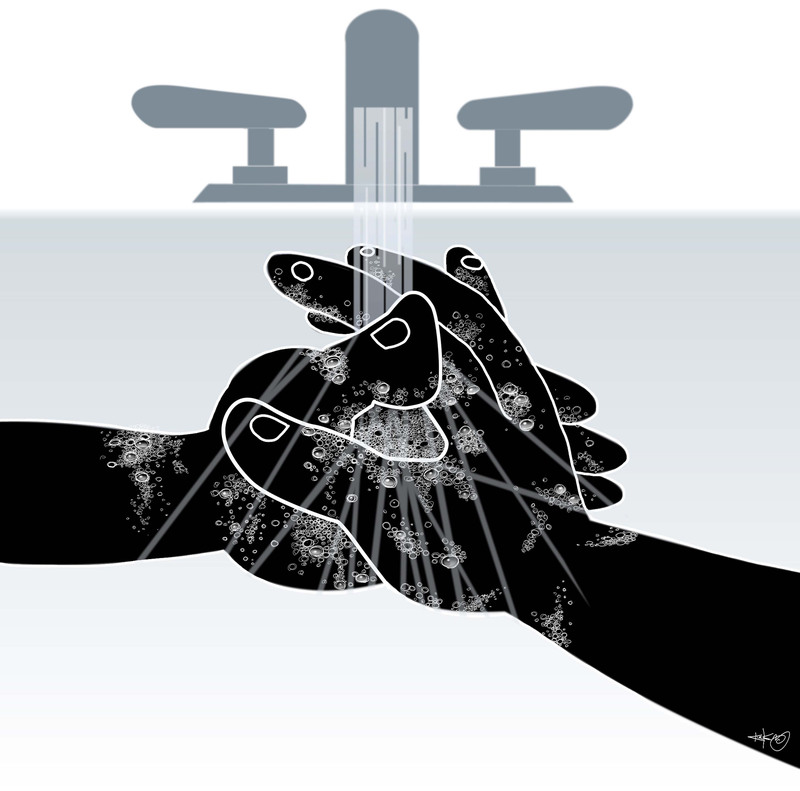 Wash hands or cover cuts and infected areas so others don’t get sick or grossed out.